I’m trying to wrap my mind around the fact that Christmas is less than 3 weeks away! Ack! What’s exciting about our December is my husband’s birthday is December 11th, then our wedding anniversary is December 23 and then Christmas comes 2 days later. 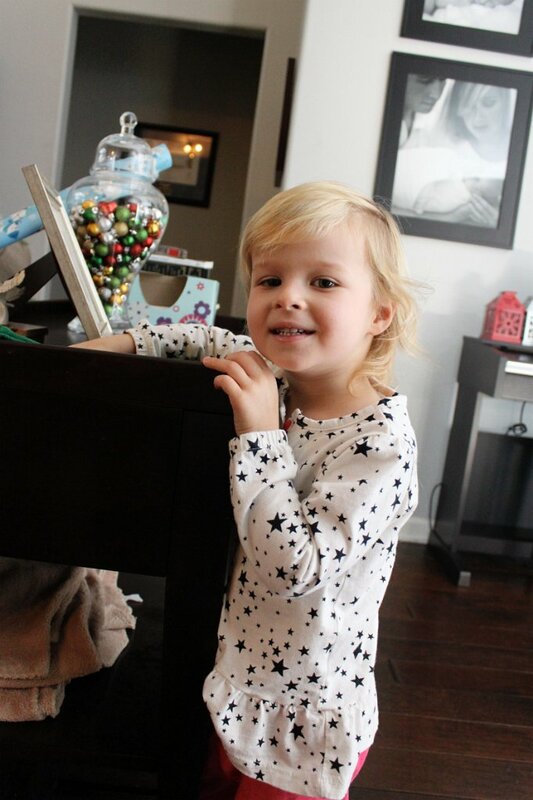 Gift giving gets real this time of year! So I will try to keep this short and sweet as I have gifts to buy (some to make!) and then wrap! Anyways, this is what I made in a rush since I had butternut squash, chicken and sausage to make but struggled with not wanting to put all of them in 1 dish. 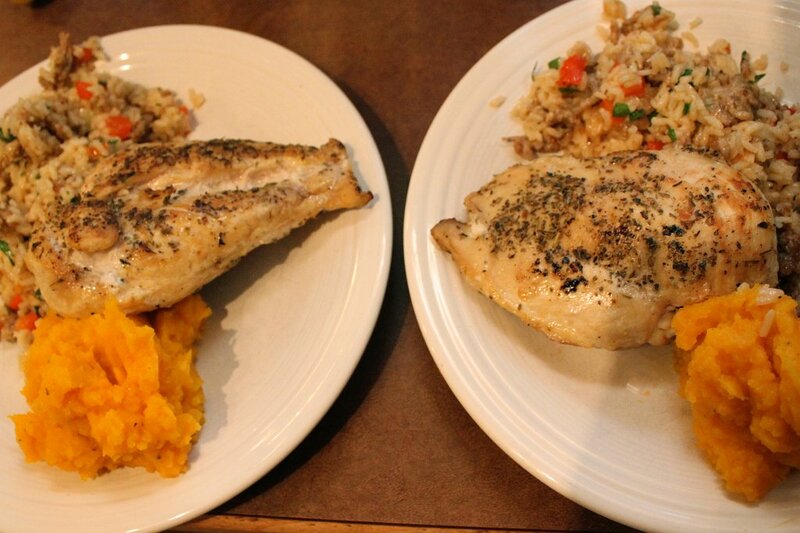 So I made this: Seared/Roasted Chicken, Butternut Squash Mash and Italian Risotto. I call it Italian since 1:it has Italian Sausage in it and 2: its a take on Giada De Laurentiis recipe but I made so many tweaks, I don’t think she would recognize it! 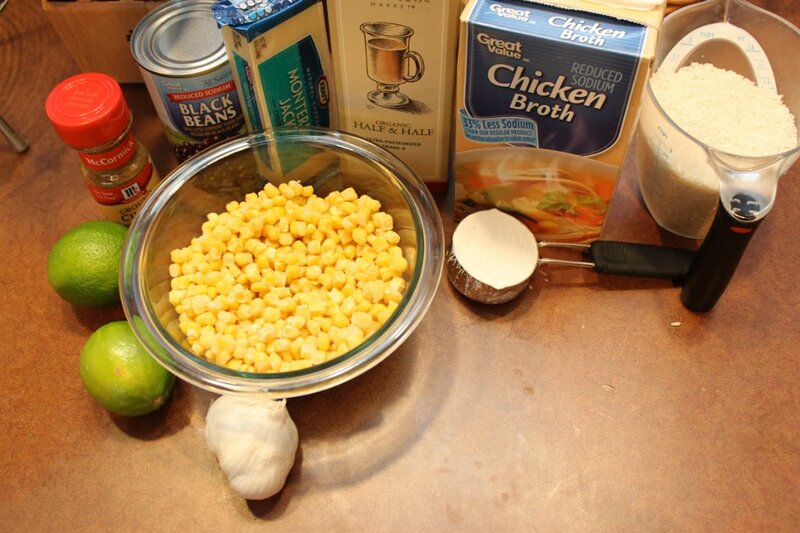 Warm the broth (espcially if its been in the fridge) in a saucepan or in a measuring cup in the microwave. 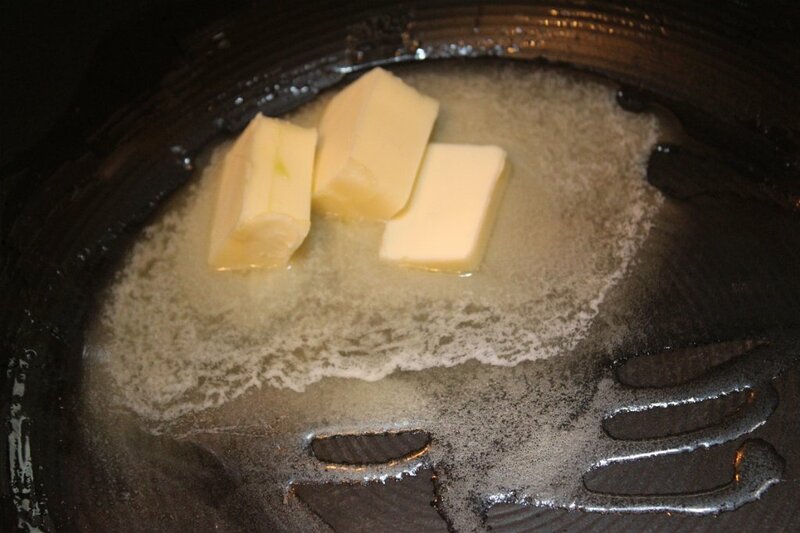 In a large pan or skillet, melt the butter on medium heat and brown the sausage, breaking apart. 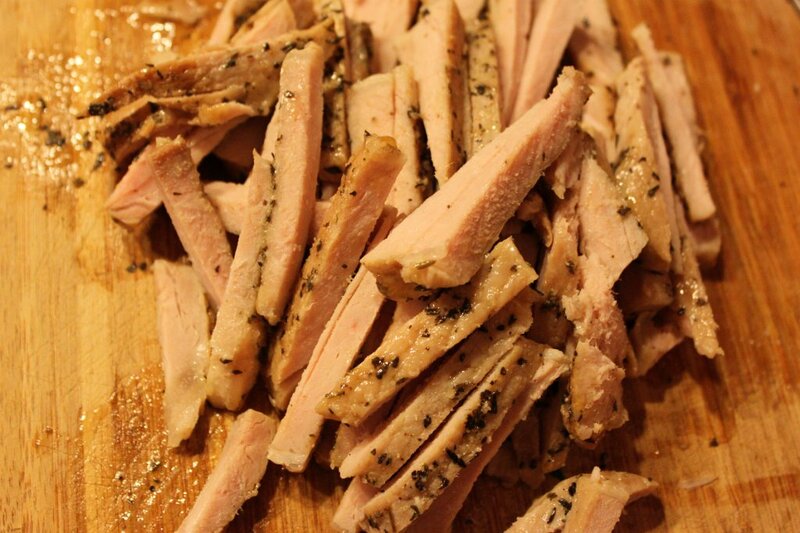 Once browned, about 5 minutes, remove and set aside. 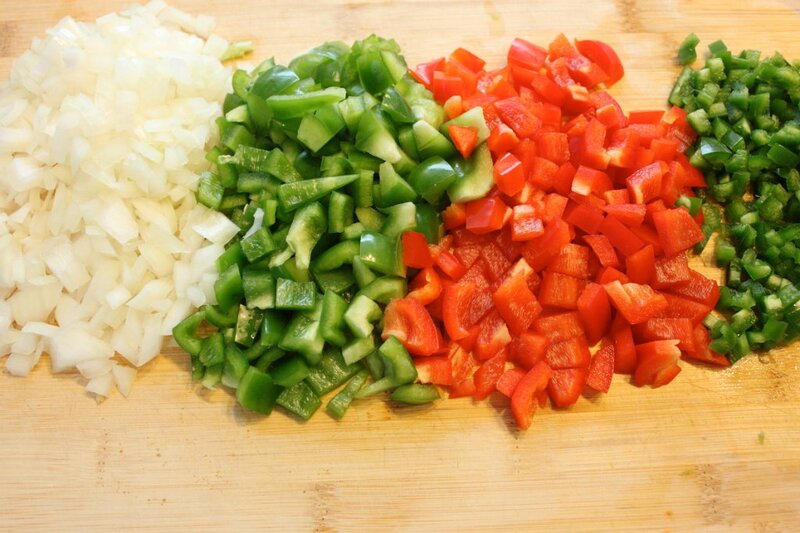 Add onion, bell pepper and garlic to the same pan. 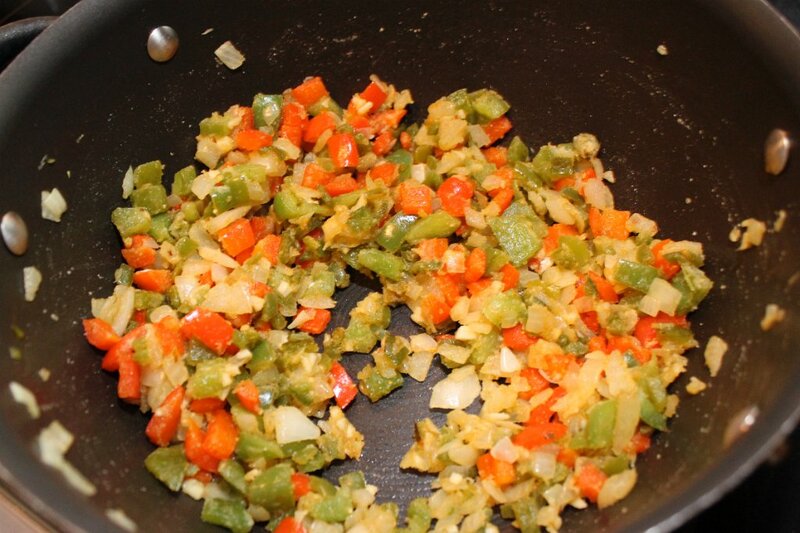 Saute until softened, about 8 minutes. Stirring to remove any browned bits from the bottom of the pan. 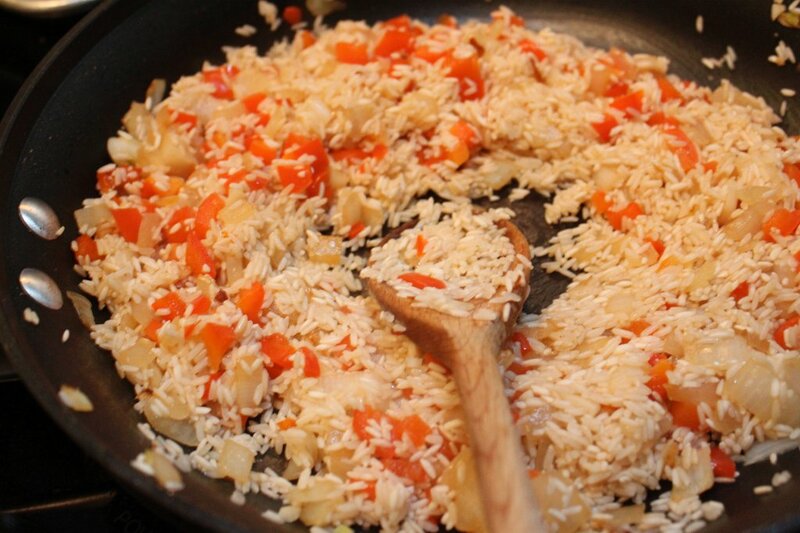 Add the rice and cook for 1 to 2 minutes, stirring. Add the wine and simmer until its been evaporated. 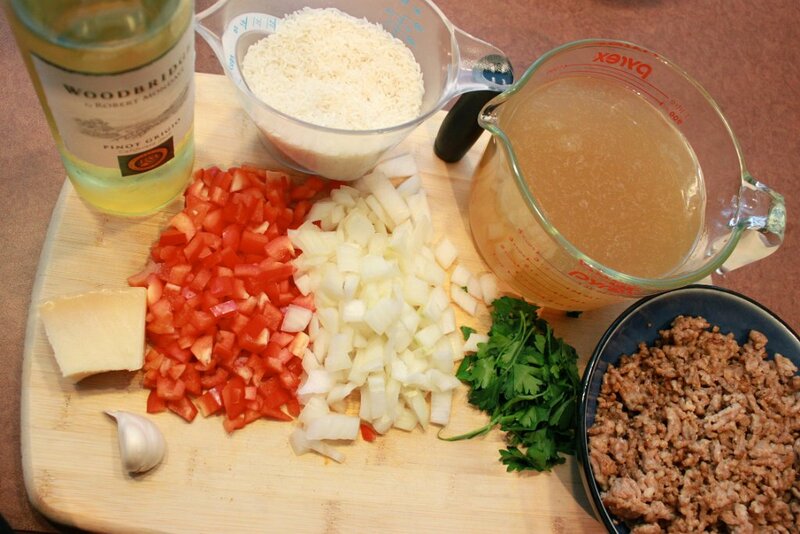 Start adding broth in 1/2 to 3/4 cup at a time, stirring constantly so that all broth is absorbed before adding the next. This should take 2-3 minutes in between each batch. 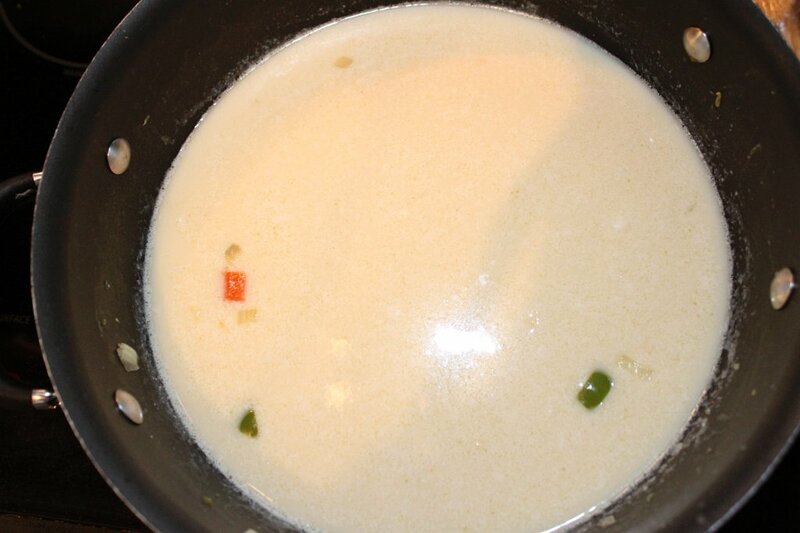 When the last 1/2 cup of broth is added, also add the sausage back into the rice. Stir in the cheese and parsley and salt and pepper to taste. 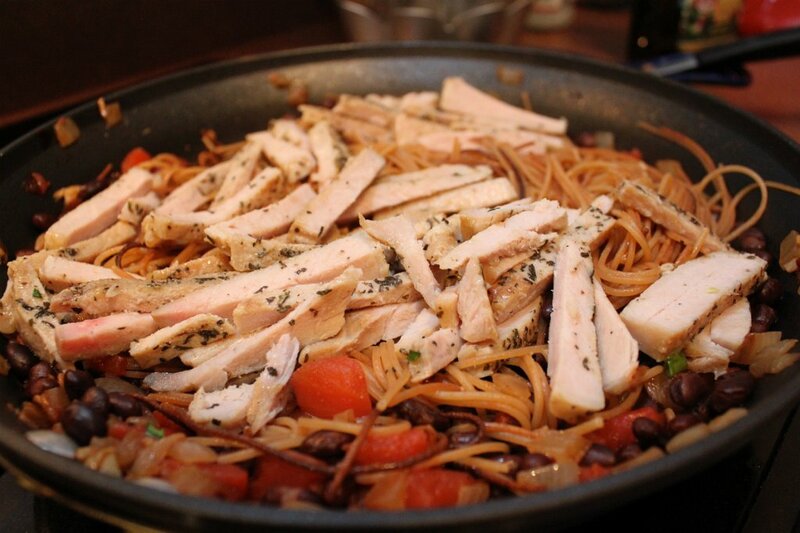 Remove from heat and serve along with extra parmesan. 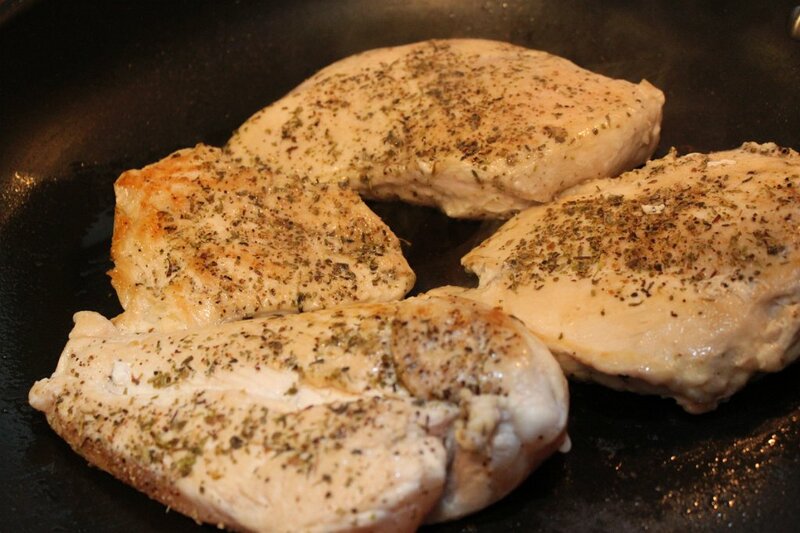 I also seared and roasted chicken breasts as well. 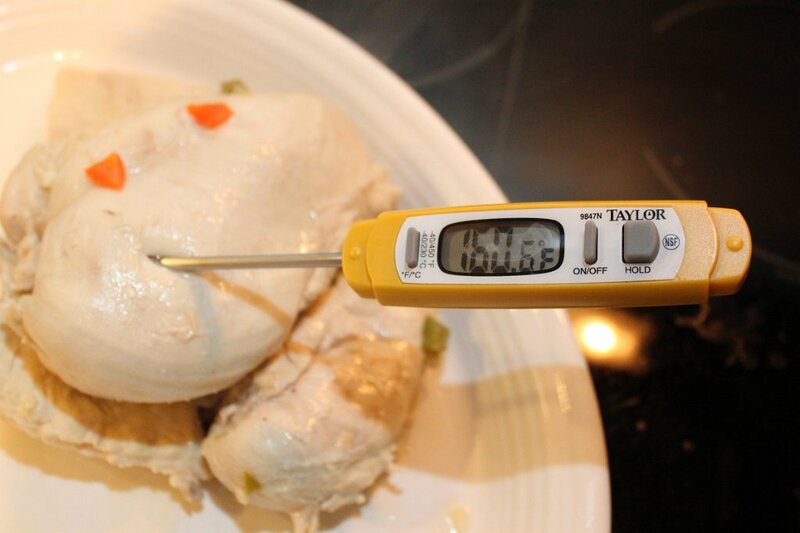 The easiest way to do this is pat the chicken dry and season. 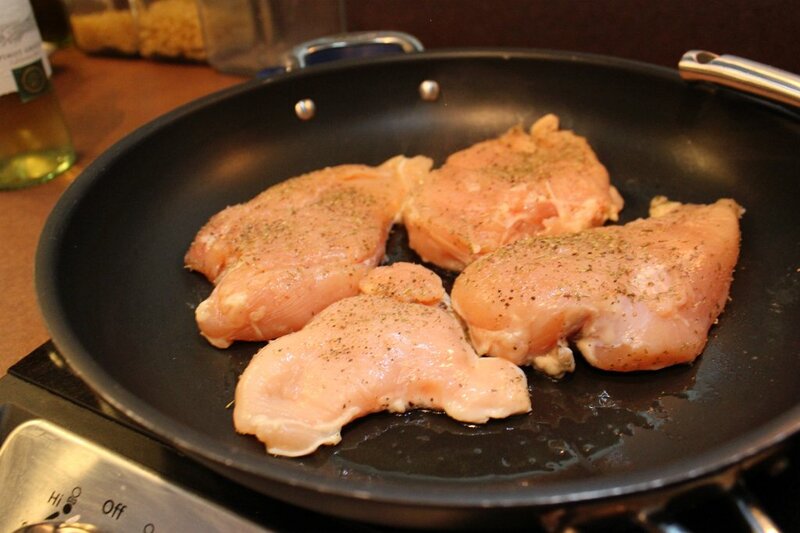 I added salt, pepper and Italian seasoning blend on each chicken breast, flipping over to season other side as well. Sear on each side 3 minutes, just until color starts to develop. 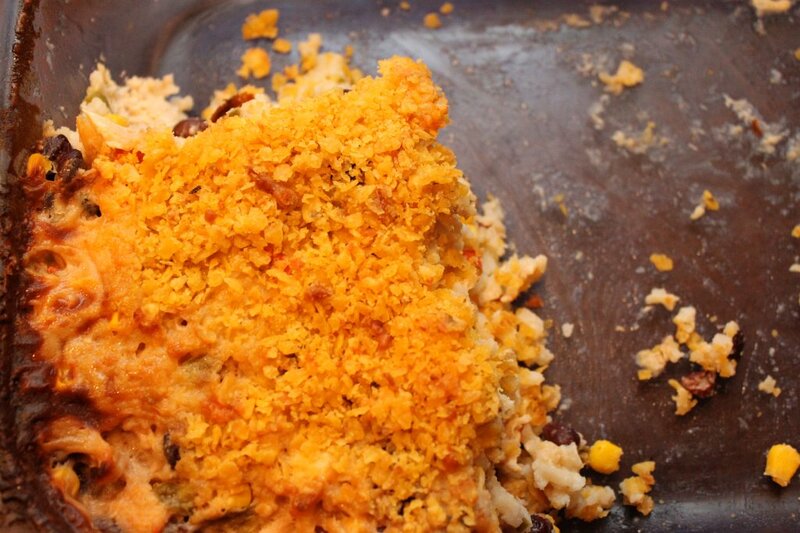 Butternut squash in the oven is super easy and really simple. Wash squash and cut in half, trimming ends off as well. Scoop out flesh and seeds. 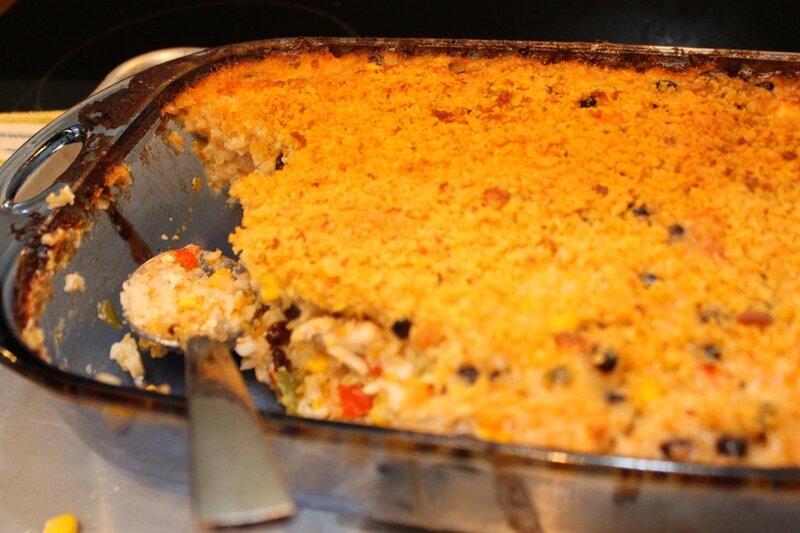 Place in large pan and fill with water 1 inch up sides. 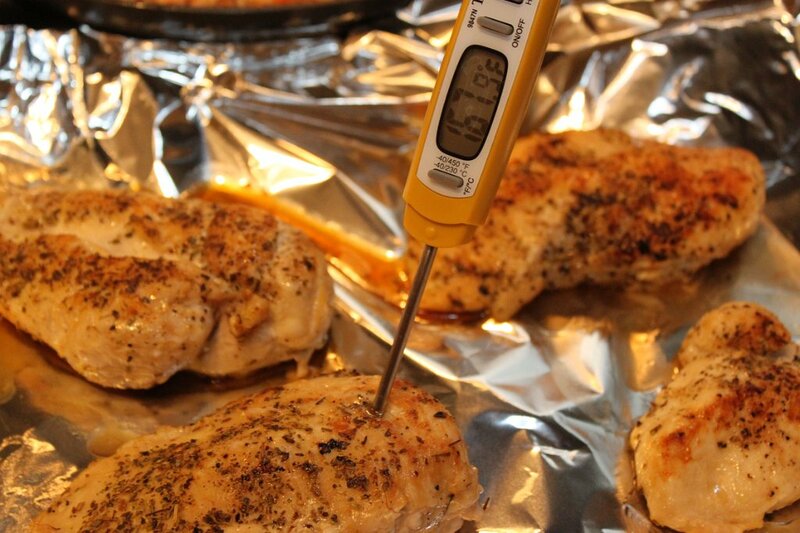 Cover with foil and place in 350 degree oven for 1 hour. Take out and let cool until able to handle. 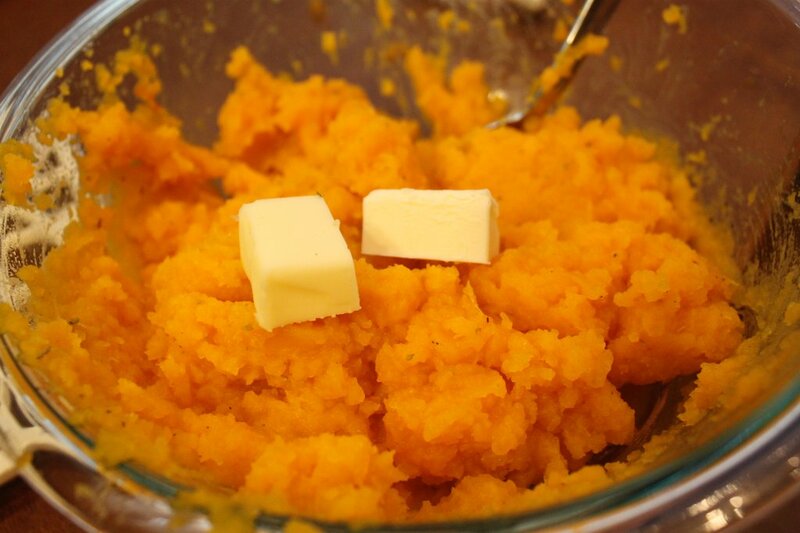 Scoop out flesh into bowl and mash by hand with fork or masher. Add salt, pepper, 1/2 cup cream or milk and 2 TBL butter. If you make all of these at once, they can be made simultaniously. Just make sure the little ones are occupied! This is a snapshot of one of the kids’ bowls and our plates. It was gobbled up! 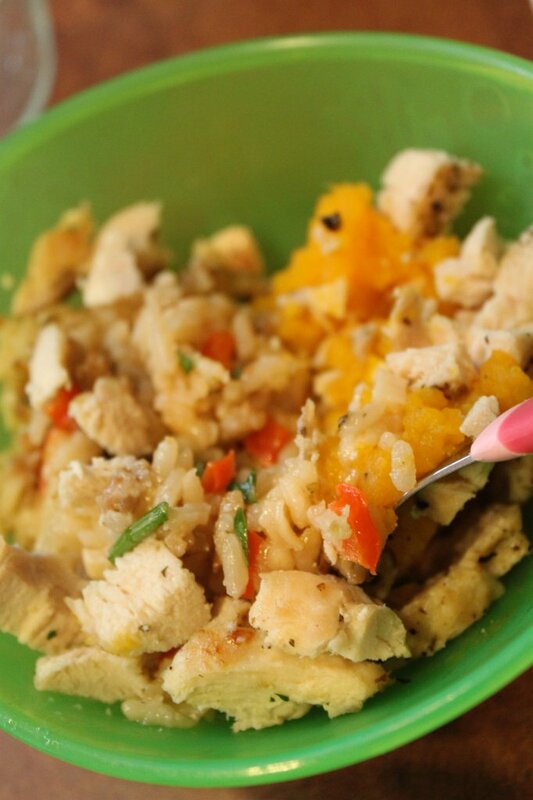 Please let me know what you thought about the Risotto or any of these dishes! 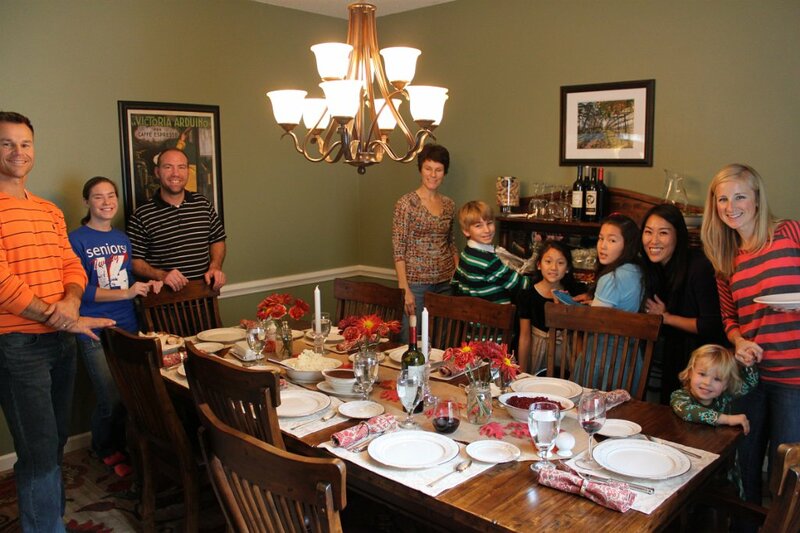 We had an awesome Thanksgiving! 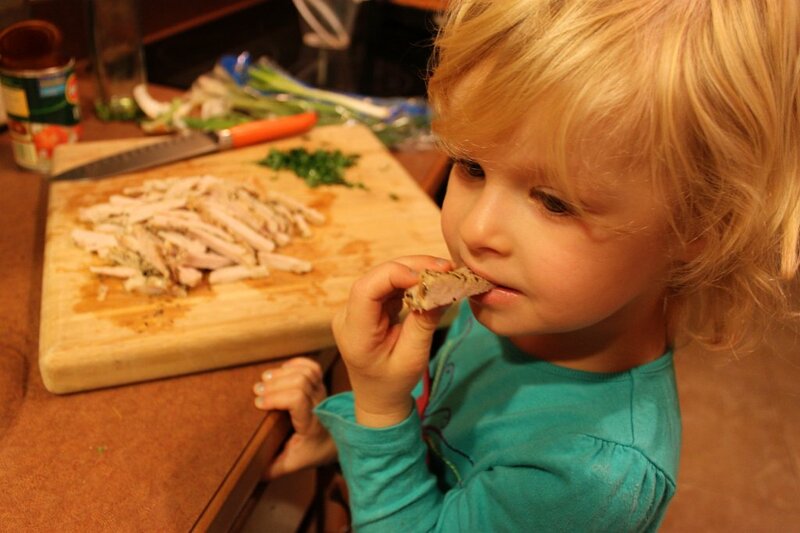 There was so much food but we got to eat leftovers just enough times to make me appreciate it… and now they are gone! 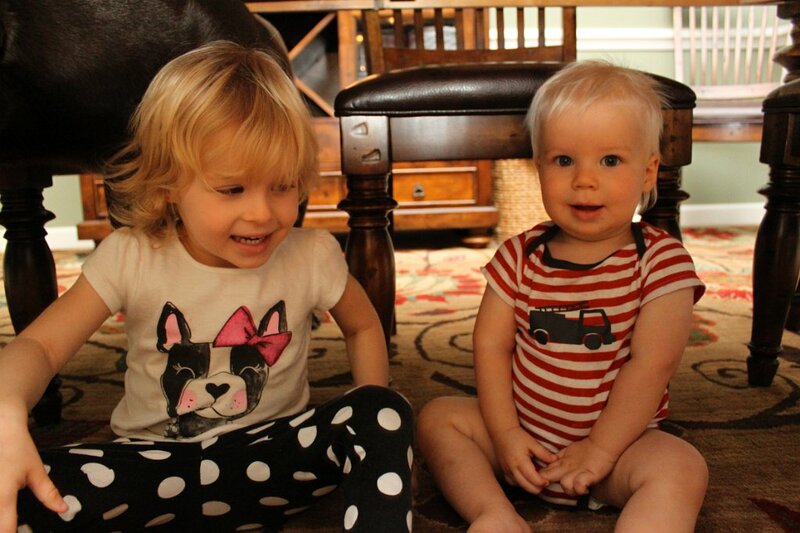 Thanks to all the Morgans for sharing a wonderful holiday with us! 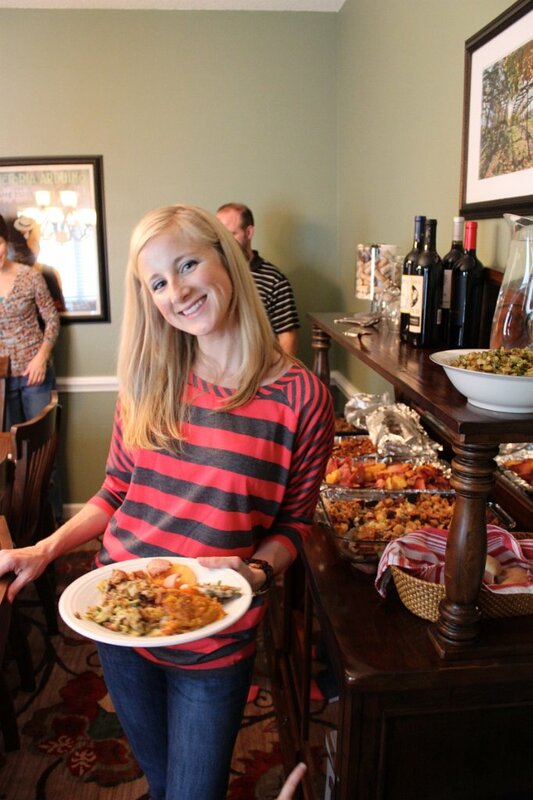 Before we had our big Thanksgiving dinner, I planned and cooked and prepared for a few days in advance. At the end of one such afternoon, I had been doing a lot of cooking and I still needed to make dinner. I took some left over porkchops and made this mexican Vermecelli dish. It comes together so easily that even after a day of cooking, it was no sweat! It was so helpful to have the leftover protein to use the next night. I love when things like that work out! I served it right out of my skillet too! Break the vermicelli in half. I find it easiest to break when rolled in a paper towel and split by pushing the middle over the edge of the counter. 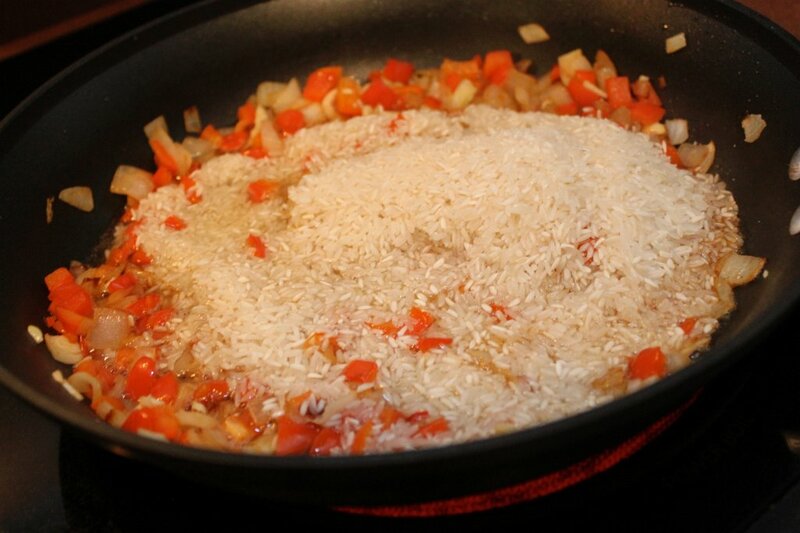 Toast the vermicelli in 1 TBL of oil in a large skillet over medium heat, until golden brown. 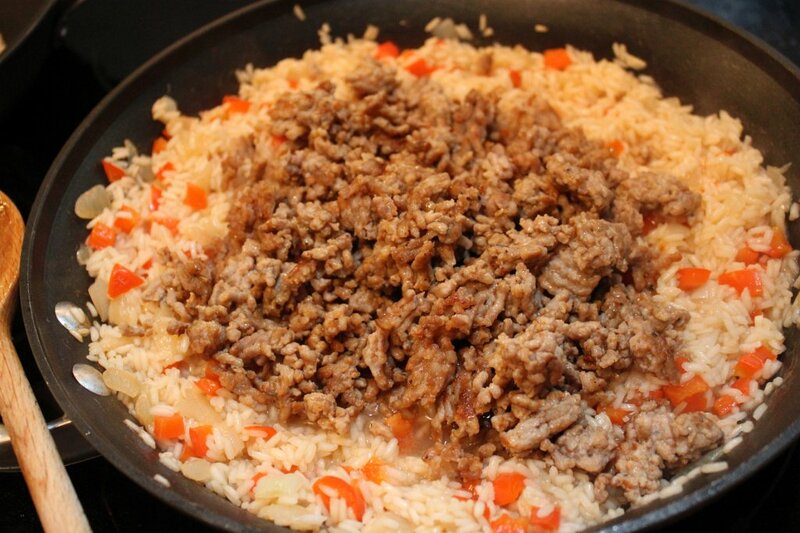 Stir often and should take about 5 minutes. Remove to paper towel lined plate (can use the paper towel from before). 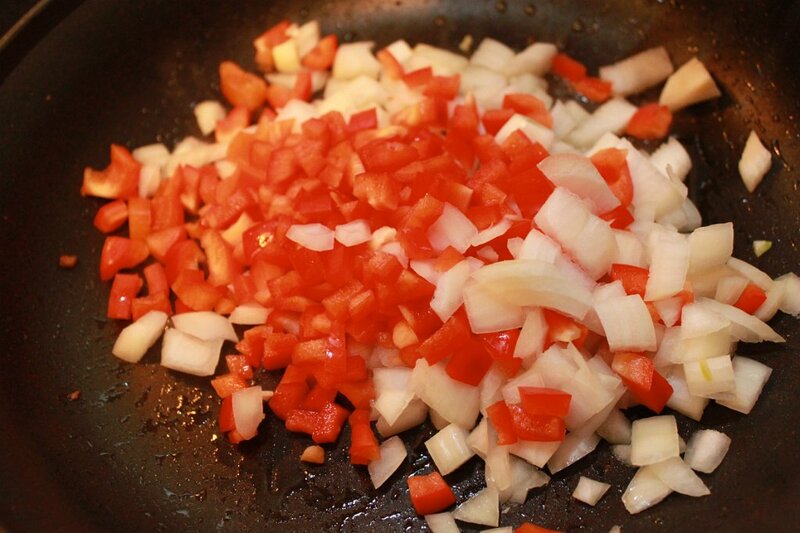 Add the remaining oil, onion, garlic, chipotle, salt and pepper to the skillet and cook until onion is softened, 5-6 minutes. Add the whole can of tomatoes and stir. 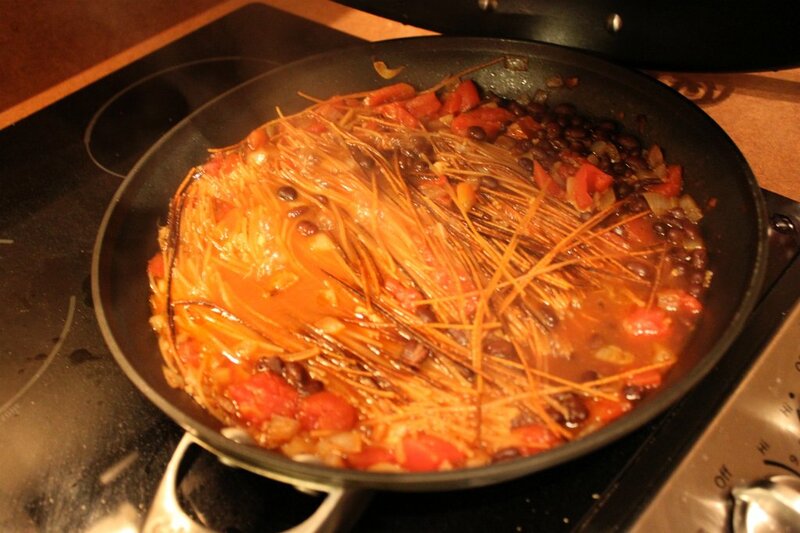 Add the broth, black beans and vermicelli. 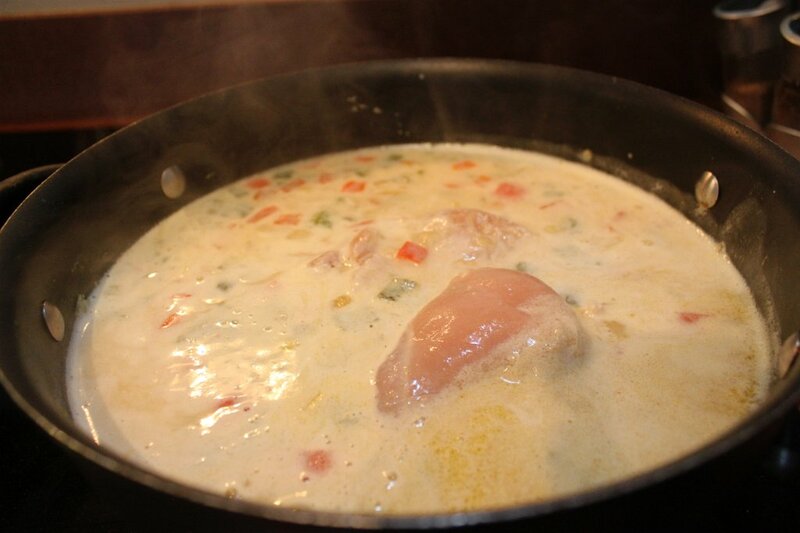 Cover and cook over low heat, until liquid is absorbed, about 10 minutes. Stir frequently to avoid vermicelli sticking. Season with salt and pepper. 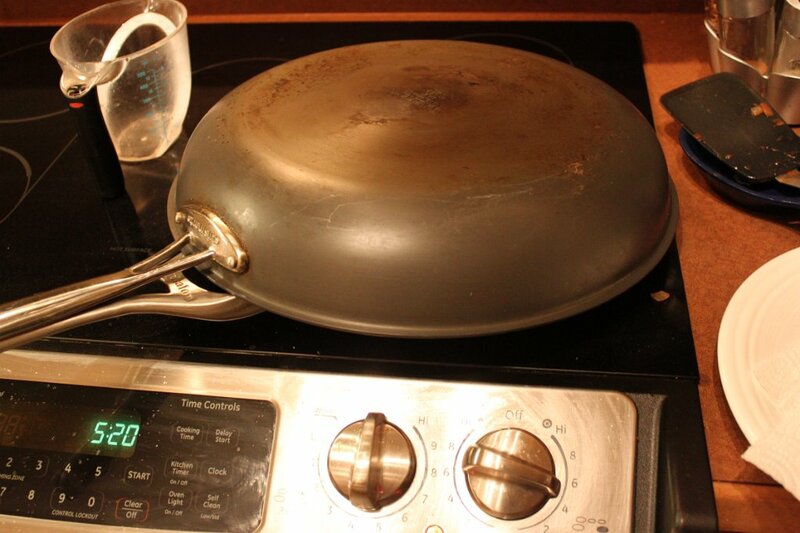 (I had to use another pan since my large one doesn’t have a lid!) 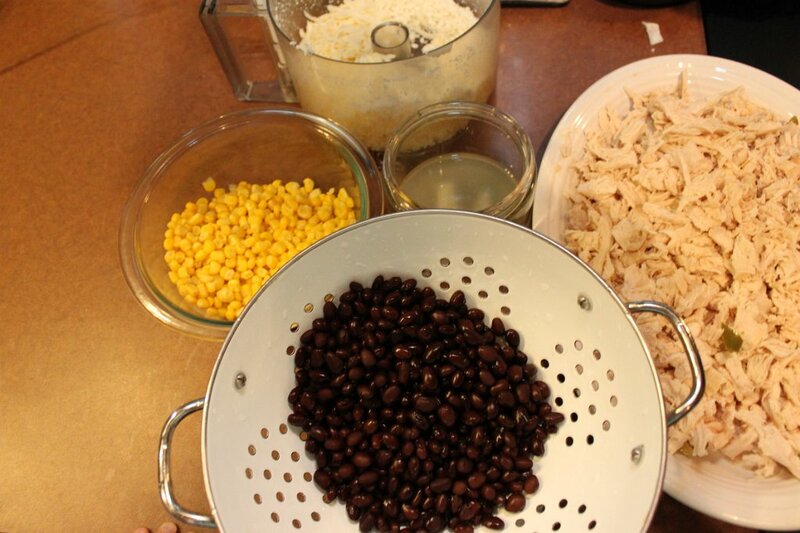 The mixture is hard to stir at first but when the noodles start to soften, you can really start mixing it all up. 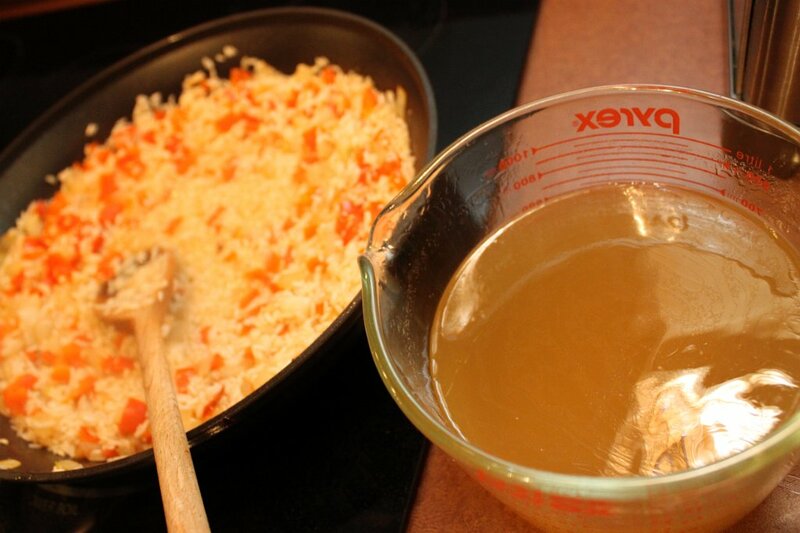 Take off of heat and sprinkle on cheese. 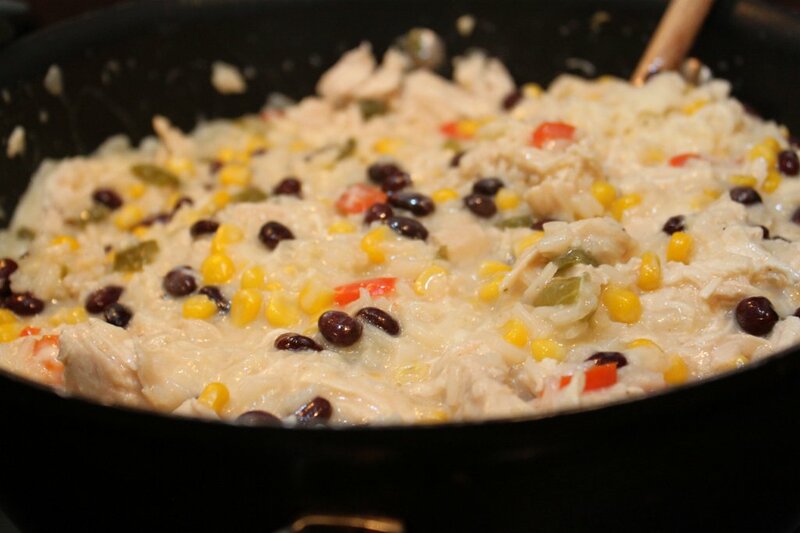 This delicious one-pot dish with a Mexican twist with black beans and tomatoes. 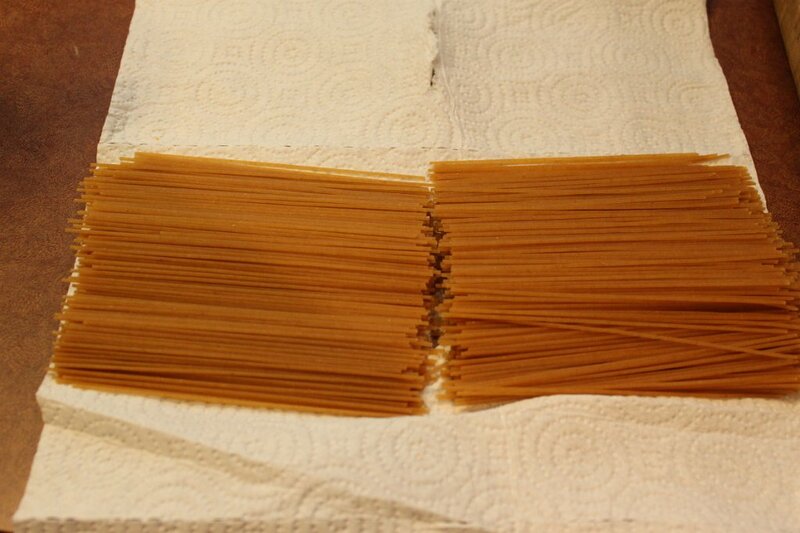 Break the vermicelli in half, rolling it lengthwise in a few paper towels and split by pushing the middle in half over the edge of the counter. 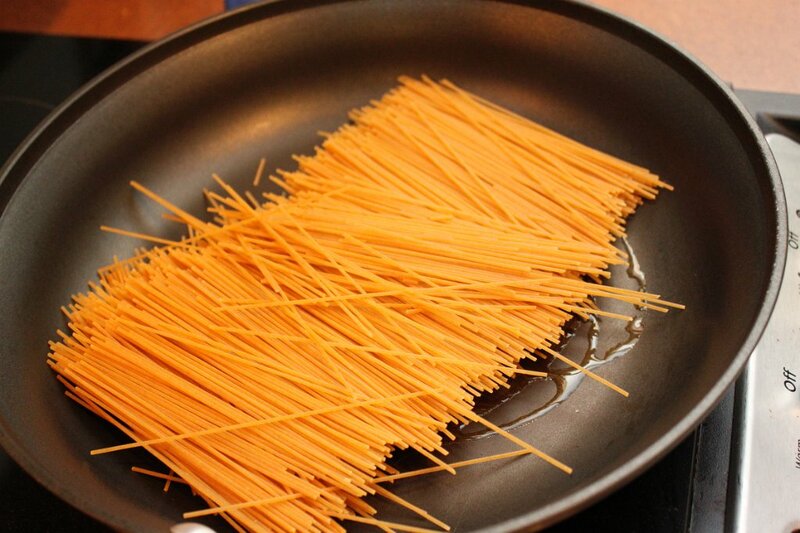 Toast the vermicelli in 1 tablespoon of oil in a large skillet over medium heat, until golden brown. 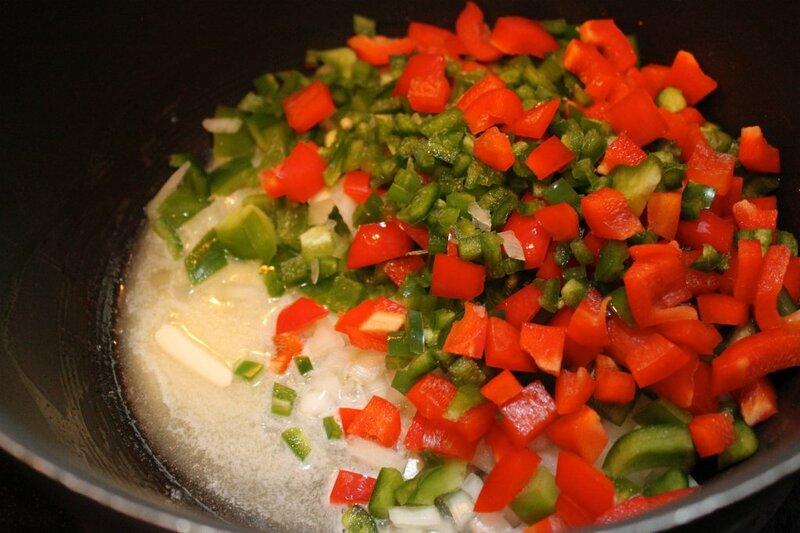 Stir often, cooking about 5 minutes. Remove to a paper towel lined plate. Add the remaining oil, onion, garlic, chipotle sauce, salt and pepper to the skillet and cook until onion is softened, about 5-6 minutes. 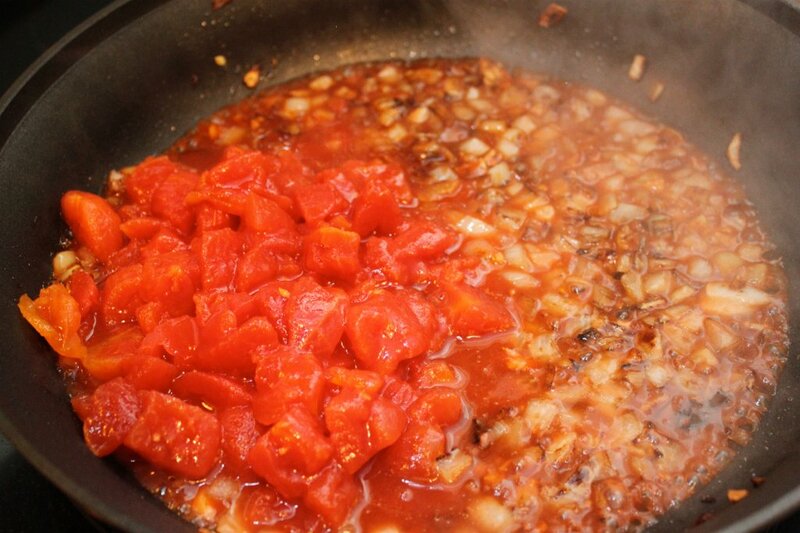 Add the can of tomatoes and stir. 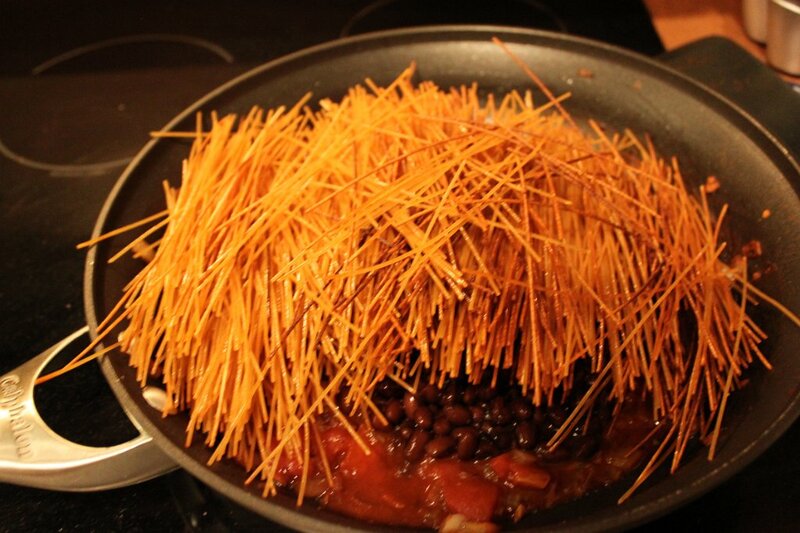 Add the broth, black beans and vermicelli. 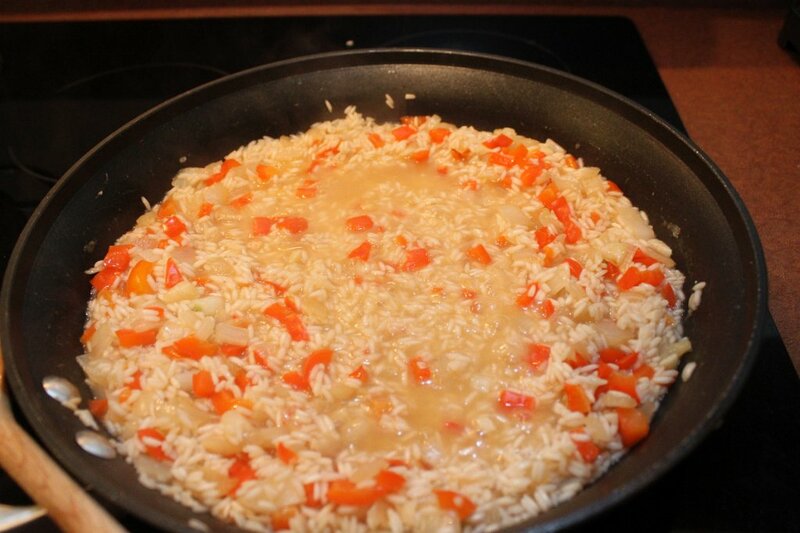 Cover and cook over low heat, until liquid is absorbed, about 10 minutes. Stir frequently to avoid any sticking. Season with salt and pepper. Noodles will be stiff at first but will soften after a few minutes. 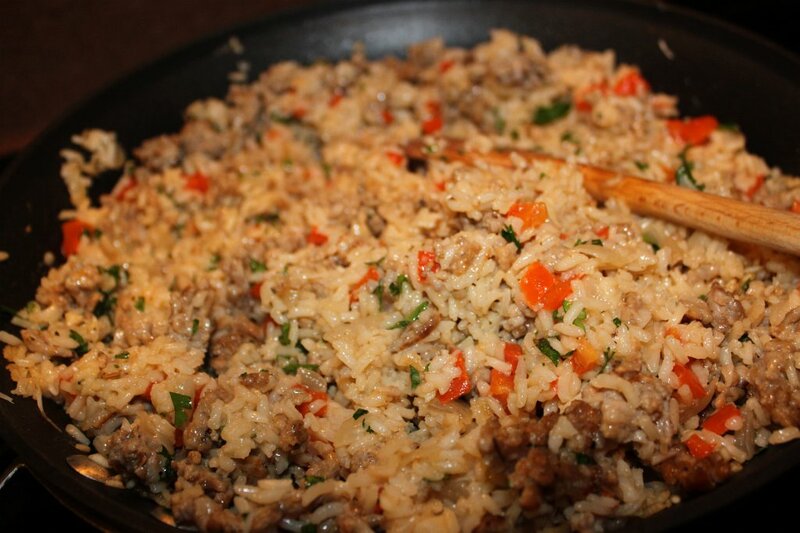 Stir pork, cilantro and green onions into dish and cook until heated through. Take off heat and sprinkle on cheese. 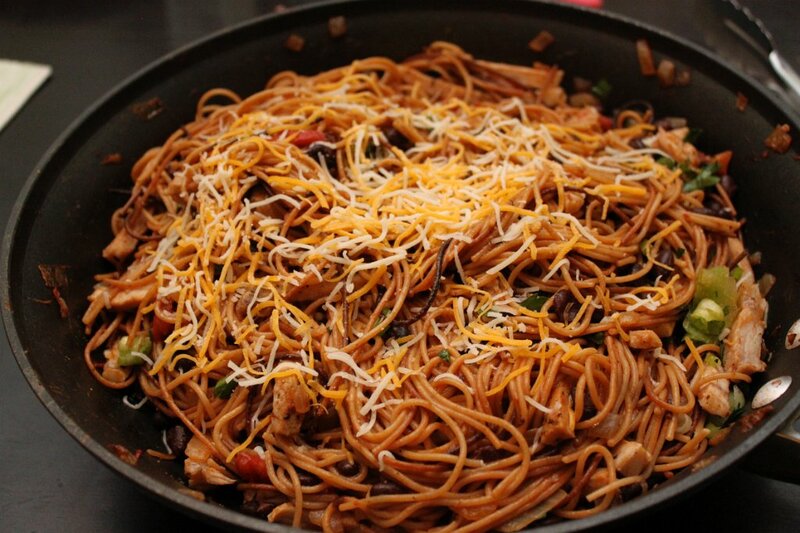 Please feel free to leave a comment and let you know what you think about the Mexican Vermicelli!